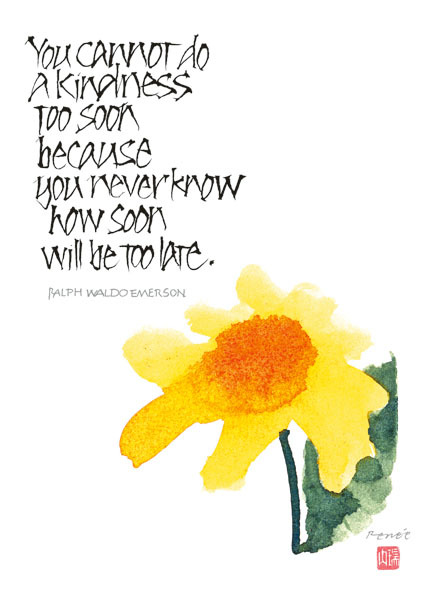 You cannot do a kindness too soon because you never know how soon will be too late. This card is greated inside, 6.75" x 4.75" and printed on recycled textured watercolour paper using soy based inks. Cello wrapped with envelope. A Live with Intention wall calendar, mini calendar and small diary by Renee will be available from August.